Have you heard of the benefits of myo-inositol for fertility? It may be time to give it a serious look. Many women we talk to feel helpless when they learn they have a possible issue with egg health/egg quality. Yet, there is hope! Every day, we’re learning more and more about ways to support egg health naturally with diet, antioxidants, herbs, and supplements like myo-inositol. Beyond what we share here, our guide How to Increase Your Egg Health in 90 Days should be your #1 resource for more on this topic. Now, more about myo-inositol. Myo-inositol is part of the B vitamin family (B8) and is a building block used by the body for many cell functions. For fertility, myo-inositol is probably most researched for its ability to promote normal ovulation and hormone balance for women with PCOS. New research finds it may also be a great way to improve egg health for all women (not just those with PCOS). A 2002 study links higher levels of myo-inositol in follicular fluid to improved egg quality and maturation rates. A 2016 study shows a combination therapy of myo-inositol and melatonin increases the success of medical fertility treatments. Women treated with the combination therapy experienced improvements in quality of eggs and embryos, reduced FSH levels and reduced number of treatment days. Animal studies show myo-inositol supports normal blastocyst development (the early stages of fetal growth). How Does Myo-Inositol Promote Egg Quality? Myo-inositol is vital for cell membrane health and supports chemical messengers throughout the body. It forms a critical component of follicular fluid and plays a role in healthy follicle development. In addition, myo-inositol is believed to enhance insulin sensitivity of the ovary, which encourages better egg quality. This action is a real boon for women with insulin resistance, blood sugar imbalances or PCOS that affects their egg quality. The body manufactures myo-inositol from fruits and veggies like cantaloupe, citrus fruits, and leafy greens. It’s also available from whole grains, beans, lecithin, liver and nutritional yeast. So, rest assured you’re already benefiting from this nutrient. Still, researchers believe some women are low in myo-inositol or have trouble producing it from food sources, perhaps due to poor diet or gut health. “The body produces its own inositol from glucose although researchers and doctors alike are unsure how exactly it does so. One theory is that it is produced by intestinal bacteria,” shared Certified Herbalist Elizabeth Willett. Given we know this, myo-inositol may also be helpful for women with egg quality issues related to a diet low in fresh fruits and veggies, or essential fats. Further, women recovering from eating disorders, being underweight, or who have trouble digesting fresh foods may benefit from myo-inositol for nutritional support for their fertility. Any woman struggling to conceive or with egg health and hormonal balance concerns may want to learn more about myo-inositol as part of their program for egg health and preconception. 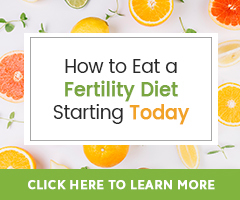 Often with egg health concerns, there are other fertility health concerns, like if the body will ovulate spontaneously, PCOS, if the ovaries are healthy, hormonal and insulin balance, weight and digestion. While following a 90-Day Egg Health program, if any of the issues mentioned above are of concern to you, talk to your doctor or learn all you can about adding myo-inositol for nutritional support. Myo-inositol has an excellent record of safety and effectiveness. FertilicaTM Myo-Inositol provides 500 mg in one capsule to help you meet the general suggested use of 1,000 – 2,000 mg daily. Caffeine depletes inositol stores, so be sure to limit or quit caffeine altogether. As you go forward, try to be patient. It takes time to see results with natural therapies for egg health. Know that each change you’re making is making a difference! For the best results with long-standing fertility issues, we suggest working with a reproductive endocrinologist or fertility specialist to help follow your progress. Nice article. Thanks for sharing. Is it safe to take Myoinositol during IVF? I have an egg retrieval coming up and curious if i can continue taking it. I will pass your praise on to Sarah. Taking Myo-Inositol during IVF is something to do only if your doctor approves>/u> and will guide you.